The Society of Genealogists & Pharos Teaching & Tutoring today announced a new joint programme of education, the distance learning Certificate of Family History Skills and Strategies (Advanced). The Society of Genealogists, in conjunction with Pharos Teaching and Tutoring Ltd has been running its popular Intermediate distance learning programme since September 2010. The Advanced Certificate builds on this. It brings a two-year programme of assessed education online starting on 1 October 2015, consisting of taught modules and special stand-alone tutorial sessions. Pharos and the Society are working with the Association of Genealogists and Researchers in Archives (AGRA) to enable students to reach the standards necessary for membership application should they wish to work as professional genealogists in the future. Each module is monitored by the Society to ensure excellent standards of content and teaching. The Advanced Skills and Strategies Certificate course is open to those who have successfully completed the Intermediate programme and are now looking for advanced instruction and the chance to undertake a family history project under supervision and in an early time period. Students who have not completed the Intermediate course may, alternatively, choose not have work assessed and may take any module as a stand-alone option. Courses taken individually without assessment cost less. To find out more or sign up for this great learning opportunity, visit http://www.pharostutors.com/fhssa.php. Information abut the course and a link for bookings can also be found on the Society of Genealogists’ website at www.sog.org.uk. Set your alarm and get to your computer early Saturday morning, because registration opens for the Salt Lake Institute of Genealogy (SLIG) at 9:00am Mountain Time (11:00am Eastern time). There are thirteen courses to choose from for SLIG 2016 including everything from land records to advanced methodology to genetic genealogy. There is a great line-up of instructors, and about 300 of your best genealogy friends to hang out with for the week. The Salt Lake Institute of Genealogy will be held January 11-15, 2016 at the Hilton Salt Lake City Center. Here is a listing of the 2016 courses offered at SLIG. For more details and a schedule for each of the courses click here. The Family History Library is offering 15 free webinars as part of it's week-long seminar on U.S. research. The event will be held October 12 - 16, 2015. The classes at the Family History Library are full, but the webinars are free and open to the public. The focus of the sessions is on U.S. research including different types of records and various FamilySearch resources. For full details on the seminar you can download the brochure. There is no need to pre-register for the webinars, just use the links below to attend. Danielle L. Batson, AG, MLS spent 13 years working as a U.S. and Canada Reference Consultant at the Family History Library and her current assignment is working on content projects in the FamilySearch Research Wiki. Her research experience includes African-American research, the Midwest, South, and Mid-Atlantic States. She has also taught genealogy research classes at the Family History Library as well as various genealogical conferences including FGS in San Antonio and BYU’s Conference on Family History and Genealogy. David Dilts, AG has been employed with the Family History Library since September 1975 first as a cataloger of German, Austrian, Swiss and Polish records then reference consultant. He earned his Master’s degree in Library Science from BYU and completed three years of doctoral work in history at the University of Utah. He is accredited in German and LDS research and has great experience in researching, writing and lecturing on genealogical topics. Jason Harrison, CG is Supervisor of the Family History Library’s United States & Canada Research Specialists. He received his B.A. in Family History from Brigham Young University, is a Certified Genealogist, former New England Historic Genealogical Society intern, and National Genealogical Society conference lecturer. His research specialties include New England, Mountain states, and LDS research. Joan Healey, AG is a native of Salt Lake City and earned a Bachelor’s degree from the University of Utah. Joan worked with the U.S./Canada/LDS Reference of the Family History Library since 1976, taking a short break to be the record attendant supervisor in British and European Reference She nurtures an interest in American Indian and African American research, and has contributed information to the FamilySearch Research Wiki. Joni Kesler, BS, AG has been with the Family History Library for 30 years She has worked in the United States, British, Hosting and VIP units. Besides spending personal time on her own family history, Joni helps individuals in her ward to find ancestor’s names to take to the temple. She also enjoys spending time with her family of four daughters, four granddaughters, and one grandson. She loves reading and spending time with her family. Nathan W. Murphy, MA, AG a United States and Canada Senior Research Consultant at the Family History Library, has been quoted by History Detectives, How the States Got Their Shapes and The Generations Project have sought his expertise for their TV shows. He has completed four years of Ph.D. studies in Colonial American and English history at Leicester and the University of Utah. Nathan is passionate about tracing immigrant origins and promoting DNA. He has published articles in scholarly genealogical journals in the United States and the United Kingdom. Ken Nelson, AG is a collection manager for FamilySearch, and member of the Sons of Union Veterans of the Civil War and Society of Civil War Historians. Tim Bingaman, AG has worked at the Family History Library since 1990 acquiring his AG in Mid-Atlantic States in 1991. A member of the Historical Society of Berks County, Pennsylvania and the Berks County Genealogical Society, Tim has made numerous trips to Pennsylvania where he spends a great deal of time visiting societies, courthouses, cemeteries and the neighborhoods where his ancestors lived. 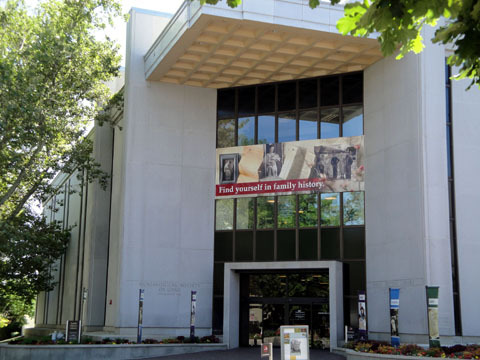 With registration for the Salt Lake Institute of Genealogy (SLIG) opening on Saturday, June 20th, I will be featuring a few reviews of the courses from students who participated in the institute last January. Here Valerie Eichler Lair shares her perspective on the Advanced Genealogical Methods course with Dr. Thomas W. Jones. If you are “on the fence” to make a decision of which SLIG Course to attend in 2016, I highly recommend Advanced Genealogical Methods Course with Dr. Thomas W. Jones!!! This course is geared to the advanced-level researcher, and I believe for professionals who take on client projects. I knew my choice was crystal clear the night of the SLIG banquet in 2014 as the announcement was made for the 20th anniversary courses. From that moment all the way through to the time of picking up my syllabus in January 2015, my excitement level was in the sky. I was up for the challenge to take my genealogy education beyond anything that I had ever done. 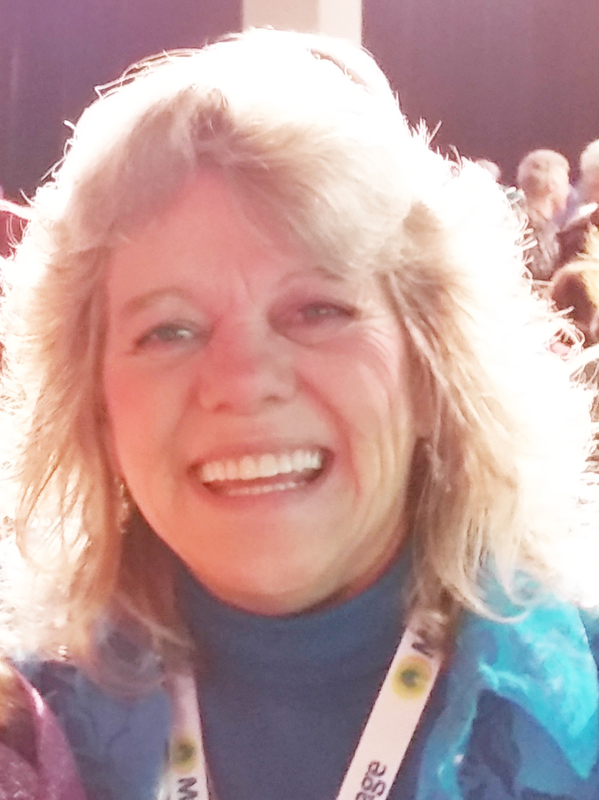 And if that wasn’t enough – Rick and Pam Sayre, along with Judy Russell – give amazing sessions throughout the week. I met the challenges head on, I was brain-fried by the last day without losing my excitement, I would not change the manner in which I tackled the assignments (yes—there is homework! ), and I am considering taking the course again…sometime! It’s been four months since completing the course and I have yet to finish reading all of the materials and notes, let alone touch upon all of the resources. I assure you that you will LEARN a lot! Without choosing just one topic unfairly, I’d have to say the best experience was my one-on-one consultation with Tom! I had to quickly get over my “star-struck, sitting-with-one-of-my-genealogy-idols” feeling to concentrate on all of Tom’s instructions and to take a page of notes! My students, Gen Proof Study-mates, ProGen Study-mates, friends, and family have heard me say that I want to sandblast my grandfather’s tombstone with the “right” birth date. I’ve done the exhaustive research. Well – well – well – Tom sure shed light on my sources vs. what additional research should be done, the date not “proved” to be the 13th just yet, UN-corroboration carries no weight vs. corroboration trumps record information quality, and at the end of our conversation he laughingly told me not to sandblast the tombstone! Quit teetering on the fence. Go for it! You are ready even if you think you’re not. And…because the Advanced Genealogical Methods Course sells out in 1 minute-30 seconds, be ready to hit the sign up button exactly at 9:00 MDT on Saturday, 20 June 2015. Valerie Eichler Lair is a professional genealogist owning her business Val’s Roots Professional Genealogy Services since 1990. She conducts full time research and consulting, teaches classes & webinars, gives presentations for local, state, and regional societies, and has authored four family genealogy/history books along with numerous articles in genealogy publications. Valerie is on the Board of Directors for the Association of Professional Genealogists (APG) and its PMC committee. Feel free to contact Val via her business website www.valsroots.com, Facebook, Twitter, Google+, Pinterest, or LinkedIn.